50% refund in case of Cancellation 72hrs before arrival date. No refund for cancellation less than 72 hours. In case of no show , no refund shall be made. No Refund is applicable in case of cancellation of special discounted offers. 25% cancellation charge will be levied in the event guest wishes to adjust dates between 72hrs before arrival date within 3 months from the date of booking with prior confirmation of Chhuti Holiday Resort within the same financial year. 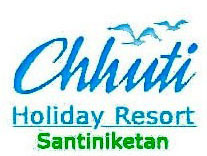 Please email us on chhutiholidayresort@gmail.com mentioning online booking id. Note: All Refund Transfer charges (Including Tax) shall be charged from guest account, if any. No cancellation or refund for the booking during peak season (Basanta Utsab, Durga puja, Poushmela, Christmas, New Year). However the dates are adjustable as mentioned above.